The second of four “Fast Lane to Success Tour” live events convened a full house of channel resellers, integrators, consultants, and MSPs in the Chicago area to deliver business growth strategies in key segments. ChannelPro-SMB, the premier source of IT and business insights for SMB solution providers, gathered channel experts, top vendors, and IT solution providers on May 1 and 2 in the Chicago metro area to discuss business strategies that can be implemented immediately to get channel partners on the quickest road to business success. 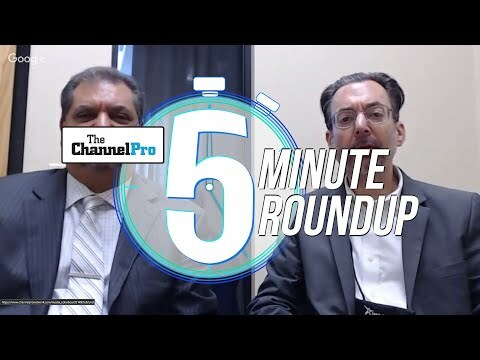 It is ChannelPro-SMB’s second of four events in this calendar year. The event got underway on Monday, May 1, with a half-day workshop by SolarWinds MSP on key industry trends and highlights of the company’s on-premises and cloud-based solutions, followed by a welcome cocktail reception for vendors, speakers, and attendees. The 20, the event’s Premier Gold sponsor, presented the morning keynote. Gold sponsors for the event were AVG Business by Avast, Clover Imaging Group, Cytracom LLC, Data Deposit Box Inc., Datto Inc., Eaton Corp., Ingram Micro Inc., SolarWinds MSP, SYNNEX Corp., and Webroot Inc.
Silver sponsors included Autotask Corp., Axis Communications, Buffalo Americas Inc., Carvir InfoSec, Choice CyberSecurity, CompTIA Inc., eDist Business Wholesale Distributor, Egenera Inc., ELO Digital Office Corp., Manuel Palachuk International, Marketopia, The Neat Co., Ninja MSP, PC Matic Pro, RapidFire Tools, Secure Infrastructure & Services, SellMyMSP, SherWeb, Small Biz Thoughts, SMB Nation, SMB TechFest, SPC International Online Inc., Steadfast, Tech Data Corp., Vertical Axion, and VIPRE. Best Selfie Video: ELO Digital Office Corp.
Best Add-on Product: Datto Inc.
Best Hardware Solution: Datto Inc. & Eaton Corp.
Best Partner Community: SYNNEX Corp. Some Sponsor Award winners are pictured in gallery below. 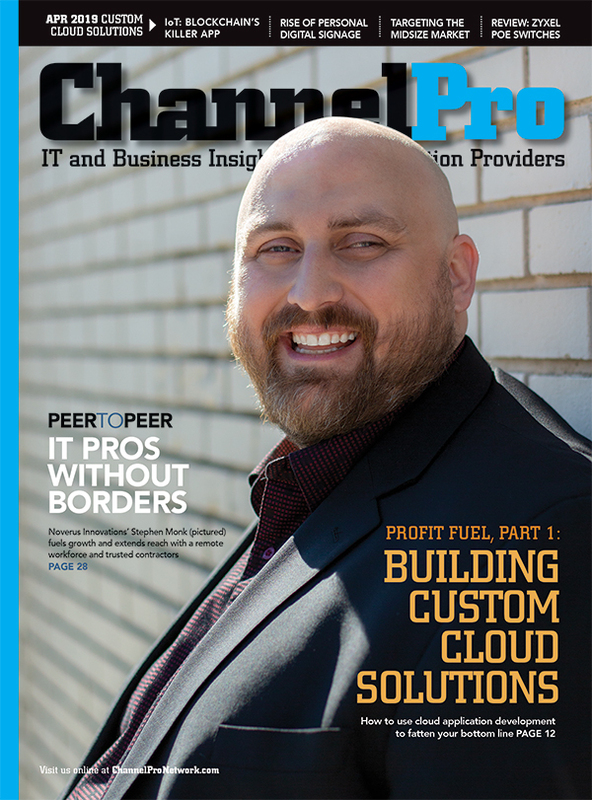 The next ChannelPro SMB Forum event is heading west to Long Beach, Calif., on September 13, 2017. To ensure that everyone at the ChannelPro SMB Forums can freely participate in the conversation, seating at each event has been limited. 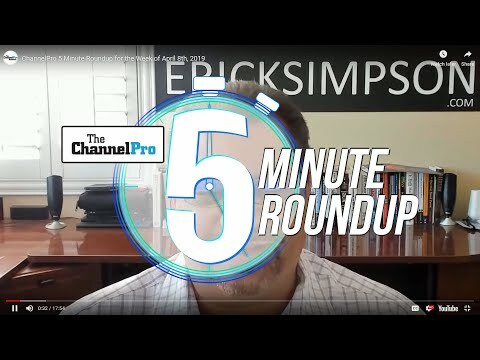 Interested parties should register immediately at http://www.ChannelProForum.com. Senior News Editor Rich Freeman (pictured right) handed out awards to our event sponsors. SolarWinds MSP won for Best Cloud Solution and for Best Software Solution. Senior News Editor Rich Freeman (pictured left) handed out awards to our event sponsors. Data Deposit Box Inc. won for Best Solution Presentation, Gold (tied with The 20). Carvir InfoSec won for Best New Solution. The 20 won for Best Solution Presentation, Gold (tied with Data Deposit Box Inc.), Best On-Stage Presentation, Gold, Most Innovative Solution, and Best in Show. ELO Digital Office Corp. won for Best Selfie Video. Senior News Editor Rich Freeman (left) handed out awards to our event sponsors. Datto Inc. won for Best Hardware Solution (tied with Eaton Corp.).